With its unmistakable mark of European elegance and sophistication, this exceptional Louis Tomaro designed 3 bedroom and 4.5 bath Tuscan Villa boasts breath-taking panoramic views spanning from Catalina to Malibu. Custom-built by Baldwin Construction, expect the most luxurious of finishes, one of a kind fixtures, the finest amenities, state-of-the-art appliances and top-of-the-line audio, visual and security systems. 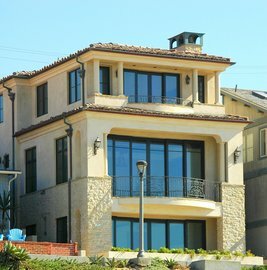 This is a rare opportunity to live the luxurious beach city lifestyle on one of the best Manhattan Beach Strand locations.